Manor Clinic is a new and modern fully computerised clinic with modern digital radiographic and photographic equipment. 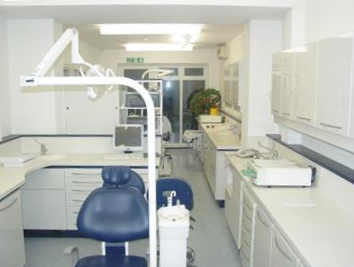 The clinic complies with the latest health and safety regulations, with disabled access and toilet. Every member of the dental team is trained in the necessary cross-infection control procedures as recommended by the Department of Health and British Dental Association to ensure complete safety. We offer off-street parking to our patients and convenient appointment times including weekend and evening appointments. Our friendly and caring staff welcome patients of all ages and will ensure that your visit is as pleasant as possible. We ensure that you are promptly seen on your arrival with no long waiting times. The clinic is fully air-conditioned.